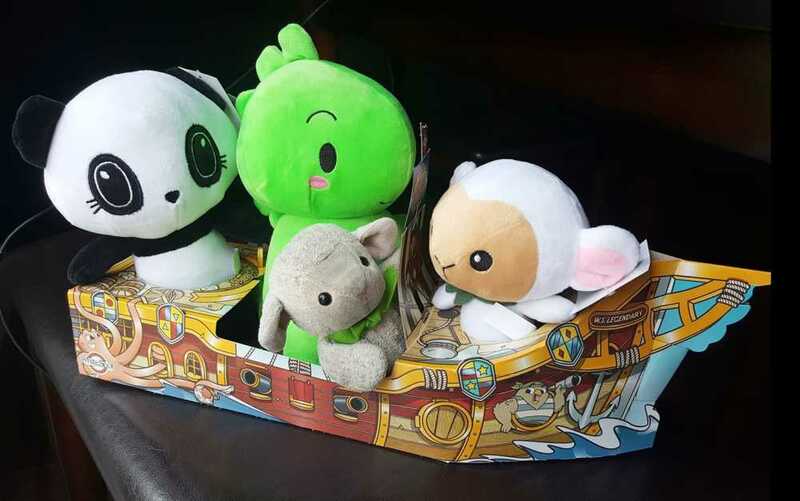 ADOPT YOUR OWN DINO, PANDA and LAMBIE STUFFIES! I have updated my Storenvy store to include stuffed animals! Camosun College's annual comic arts festival. Come visit from 12-5pm! Comic con at the Mary Winspear Center in Sidney. Come visit from 10-7pm! Dates will be updated when confirmed! A new comic con happening this year at the Juan de Fuca Recreation Center! Dino & Panda will be at 4 Friday evening markets at MARKET SQUARE in downtown Victoria this year! The 2nd of 4 Friday evening markets at MARKET SQUARE in downtown Victoria this year! The 3rd of 4 Friday evening markets at MARKET SQUARE in downtown Victoria this year! The last of 4 Friday evening markets at MARKET SQUARE in downtown Victoria this year! Dino & Panda will be one of the artisans in Hillside Mall from 9:30-5:30pm! Come get your holiday shopping done! Dino & Panda will be one of the artisans at Hillside Mall this holiday season! Come visit from 11-5pm and get your Christmas shopping done! Eagle Ridge Community Center 1089 Langford Parkway, BC. Friday hours 4-9pm. Saturday hours 10-5pm. Tillicum Shopping Center 3170 Tillicum Road, Victoria, BC. Saturday 9:30-5:30. Sunday 11-5pm. My favourite holiday market :) All things nerdy and cool can be found and Dino & Panda intend to be there! More info to follow when available! After 5 years, Dino & Panda finally return to the ART WORLD EXPO at Science World in Vancouver! Search the event name for ticket and event info!! *UPDATE* DINO & PANDA INC Storenvy Shop is officially open! You can purchase prints as well as original artwork, hand-made items and sets of buttons, mirrors, and stickers! More cool stuff to come! You can find my work printed on various products (clothing, mugs, scarves, pillows, laptop skins and sleeves, etc) at Redbubble as well! And!!!!!! You can find my digital designs in my Threadless Artist Shop printed on numerous styles of mens, womens, and childrens clothing, notebooks, towels, mugs, bags and other fun stuff. These are cheaper than Redbubble probably because of the printing technology required. Check out both shops to decide the look you like best! 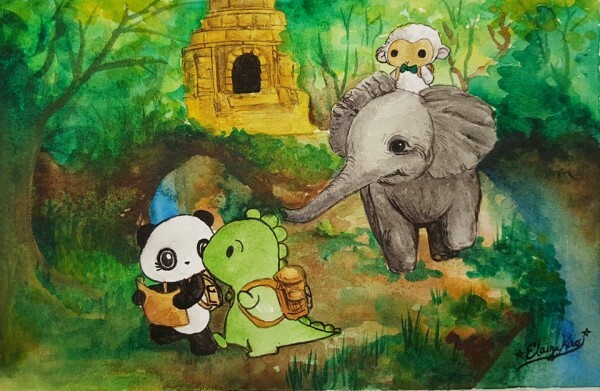 "Artwork dedicated to making you smile"
Welcome to Dino & Panda Inc's website! Here, you can view my paintings, drawings, and other artwork. If you would like to see works in progress and other fun things, follow me on Facebook , Instagram, or Twitter! If you are interested in commissions for personalized artwork, please feel free to contact me as well. Everything has the potential to be inspirational. Being an artist allows us to view reality in many creative ways. There is an exhaustive list of things that inspire me but some those big ideas: music, nature, languages, space and astronomy, history, architecture, cultures, and animals. To quote a song from the Lion King, "From the day we arrive on the planet...there's more to see than can ever be seen, more to do than can ever be done." Through my artwork, I have a lot of freedom to explore different media, topics, concepts, styles, and ways to convey ideas. Art is also what keeps me sane in a very insane world! As an art teacher, I hope to be an inspiration to my students while also being inspired by their creative and imaginative minds.. The best thing I think anyone can learn is to express themselves through art. Dino and Panda are my original characters I created many years ago to help me work through some things that were happening in my life. They were, in a way, my alteregos. Panda represents me and Dino represented the perfect partner in my mind. They were created out of heartbreak but have helped me heal and find true love! Along the way I realized that beyond healing myself, I could create artwork to spread love and happiness in the world, one piece of art at a time! Thank you for visiting my page! I hope you leave with a smile and a happy heart!